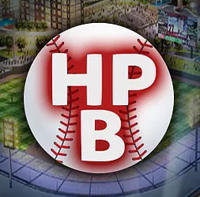 High Point Baseball Inc. is the non-profit organization operating the baseball team that will be a member of the 2019 Atlantic League, beginning their inaugural season in the Atlantic League in 2019 in a brand new approximately $36M downtown ballpark named in honor of BB&T. Expected to enhance the rich baseball history in North Carolina, High Point Baseball is part of the fastest growing family sport in America. High Point Baseball is committed to providing superior customer service and quality, affordable family entertainment experiences for the Triad of North Carolina. Look for exciting upcoming announcements regarding the name of the ballpark, team and mascot. Information on tickets and corporate partnerships will also be forthcoming.